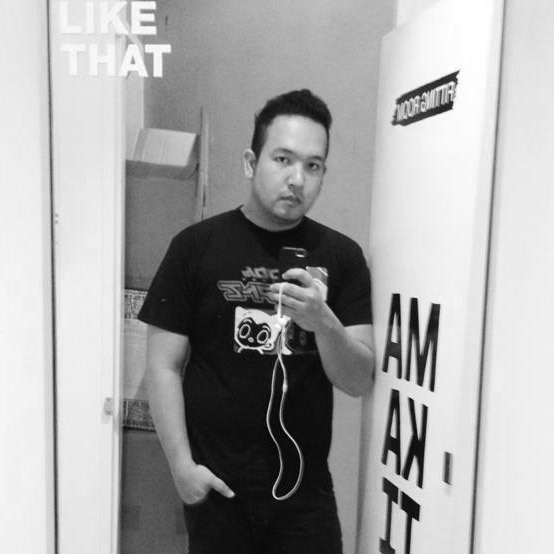 The love month is just around the corner and for those who are still finding the perfect event to go to for a date that's not far, well I've got news for you. You see that tent right in front of Ayala Malls Vertis North with the huge ABSCBN logo on it? That's the location, now think about the good music and romance you'll get if you have the prince of RnB Kris Lawrence, Pop Diva Ms. Kuh Ledesma, the forever young Gabbi Concepcion and Kuh's daughter Isabella Gonzales, wouldn't that be unbelievable? Exactly, that's why they call this LOVE MATTERS... a concert that will happen at the ABSCBN Vertis North Tent on February 13 at 8PM. Kris takes this concert as an honor to be able to perform with some of the country's icons in music and showbusiness. Ms. Kuh on the other hand has had the pleasure to stay with Mr. Gabbi Concepcion and their friends a couple of months ago in the US and is excited to perform with the 80's hearthrob on stage. She also is in the works to also do a birthday concert in March and says this may serve as a teaser for what's coming on those dates. She also knows how talented Kris is and she's excited how to mix things with him and daughter Isabella. This will be a fun evening for all four. 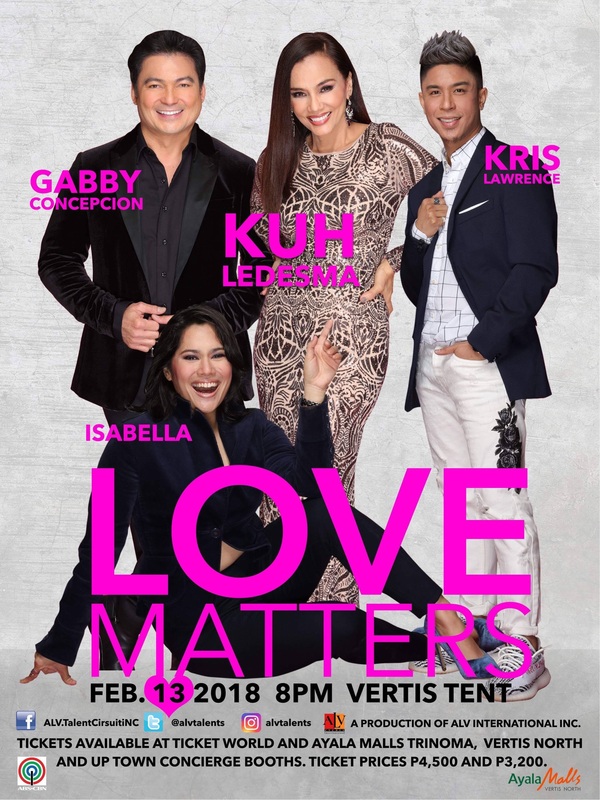 The LOVE MATTERS concert is produced by ALV Events International in partnership with ABSCBN Vertis Tent management. This isn't going to be the only thing happening at Ayala Malls Vertis North as they have a lot lined up for 2018. If you want to purchase tickets to the event, you may purchase them through Ticketworld at 899-9999 or the Ayala Malls Concierge area (I saw one in Trinoma earlier 901-5700, UP Town Center 621-3275 and Ayala Malls Vertis North at 718-5000 local 6366. I'm sure you can't wait to see them on stage in this pre-valentines day offering at the Ayala Malls Vertis North. It'll surely be a fun and romantic night for you and your loved ones!